From St. Moritz there is no country in the world that is geographically further away than New Zealand. 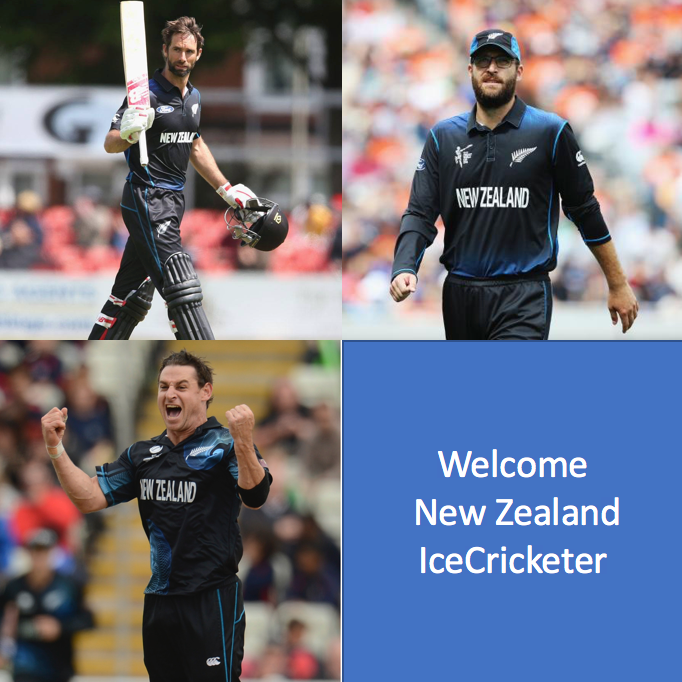 So we are particularly pleased that three Black Caps players will take the long journey and join St. Moritz Ice Cricket. Grant Elliott, batter, led New Zealand to a World Cup Final in 2015 for the first time in history and despite a great performance, Australia emerged victorious. Daniel Vettori, bowler, in 1996 was the youngest player to play for New Zealand in a Test match when he was 18 years old. He was captain of the Black Caps between 2007 and 2011. Vettori is considered one of the best cricketers New Zealand has ever produced. Nathan McCullum is both a right hand lower-order batsman and right arm off break bowler. He represented New Zealand in Twenty20 and One Day Internationals. We are proud that Elliott, Vettori and McCullum have allowed us to sign up to three top-class New Zealanders and look forward to seeing them in Team Royals.